Following the integration, the first time a pallet is physically handled by any system other than the AGV is when a forklift driver loads the pallet onto the truck to be delivered to the customer. This level of automation has resulted in a reduction in warehousing costs, a significant shift from variable to known fixed costs, and significant improvement in afternoon and night shift productivity for the customer. Our “building block” model ensures an affordable entry level. At Paperless Warehousing, we have improved and modernised workflow by digitising the traditional paper-based activities and replacing them with real time Radio Frequency Scanned or Interactive Voice Directed Tasks and/or RFID all within the same package. We have successfully implemented numerous major projects in various industry sectors across Australia and our software has been implemented in over 12 countries. We are not a company of hype and meaningless promises but a company focused on the end result of helping our clients to be more competitive in their marketplace. We believe in delivering a solution today thatis the most efficient and competitive of its kind, whilst still looking ahead to the future to ensure we continue to improve and expand our solutions. We are forever evolving and developing the product to meet the demands of the ever-changing logistics industry. 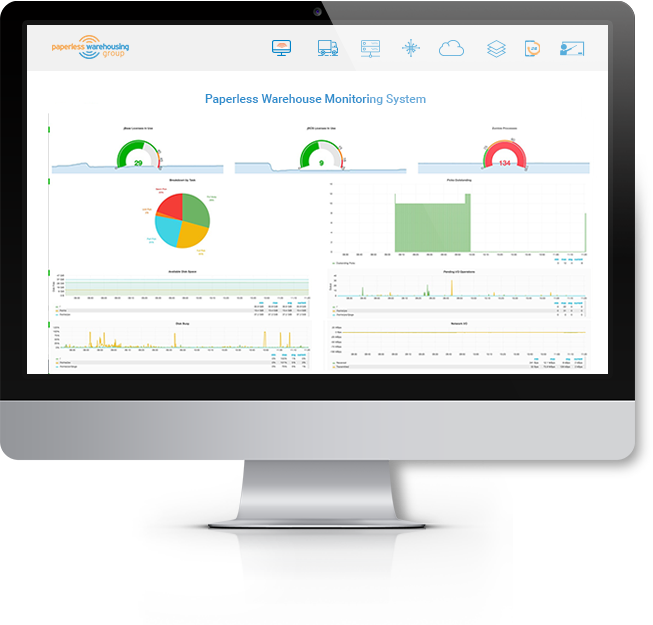 Paperless Warehousing Signature Warehouse Management System has been developed by warehouse people for warehouse people. Our Signature Warehouse Management System can be run as a web application suitable for those who prefer cloud computing services. Seamless integration to Transport Management Systems allows for expanded control of inventory onto the truck and then onto the final delivery. Our system utilises advanced slotting technologies to provide an optimally slotted warehouse. Our Integration Services moduleshowcases our “best in class” interfacingand it brings the functionality together, ensuring integration at all phases of the project. Our Monitoring Services module is an application monitoring service for your WMS that alerts you to any issues with critical services BEFORE they become critical incidents. The Warehouse Management System is a software application that has functionality to control various aspects of warehouse operations.